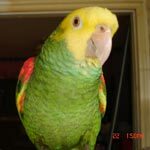 Parrot Forum • View topic - Is this cage any good? Is this cage any good? 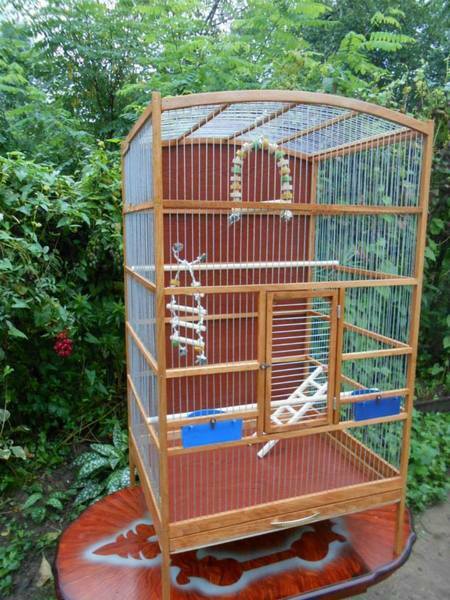 I have been looking into getting this cage for my puberty-addled kakariki. It's 105x60x50 cm (there's a 120x60x50, but I'm not sure if I could pick it up, physically, if so), the bar spacing is 1.4mm. 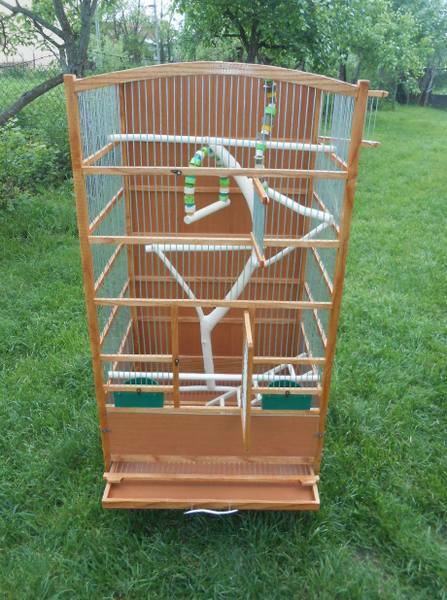 We plan to get some elements that only the larger cage has, hence the picture of that one, too. I understand that wooden protection around the feeders would reduce the mess. But I'm curious about the closed back side. Is that common or not? Is it wrong or right? Elements can be changed as necessary. I have seen beautiful wooden perches in this person's other cages. Re: Is this cage any good? I put all my heavy furniture on wheels. It makes it easy to push it out of the way and clean under it. I use the wire platforms on the tall cages as well as perches. I put a piece of cardboard in so that the bird does not poop down on the things underneath. Then I can put a toy at each platform. It makes it a multi level home. The solid back is good for keeping walls clean as most cages get pushed up against a wall. That surely is a beautiful cage and if it were for birds like finches or canaries or other small birds that do not spend a lot of time climbing and chewing on wood, I think that it would be a wonderful cage. 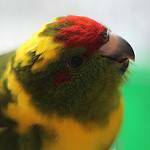 But for a parrot, I think I would just admire the beauty of the cage and the workmanship that went into making it and then go and get a cage that the parrot is less likely to destroy during the first year. The cage is a beauty and the solid back doesn't really matter because you would still put a cage that is open on all sides against a wall so the solid 'back' would still be there but I do not recommend any cage that has wood in it, not even for passerines like finches or canaries. Because even when the birds are not parrots (which, as we all know, chew wood), you can't really tell if the wood has been treated or not and that is a problem, then you have the fact that you can't clean wood properly (too porous, the poop will end up staining it and the bacteria will remain in it) and red mites burrow into wood (it's where they live, actually) but they stay away from metal. Pajarita, we don't have those here, I think, but we have wood boring weevils and, yes, they ate some parquet in all of our rooms in the past. So, that definitely rules out the wood cage. And what do you think about the other one and the M... ones (apparently, the only good kind we have here)? In both cases, I wonder if there's a reason for such a large door, but perhaps you and the others here know something I don't know. I apologise - I somehow thought this was a wood pest. We definitely have those, yes. D'oh! And that cage looks like some of the options I've been considering, or close.